On Saturday, December 8 the Tulare County Sheriff’s office received a phone call around 7:45 p.m. with complaints of gun shots in the area. 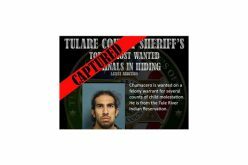 The phone call then led officers to the 100 block of Chimney Road on the Tule Indian Reservation. 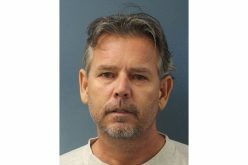 When deputies responded to the area, they found two separate crime scenes. At the first scene they discovered two deceased adults, one male and one female, as well as an injured young boy. Elsewhere on the property officers found a deceased adult male in an outside shed. The informant who originally contacted the sheriff’s office told deputies they saw a suspect leave the area in a green Jeep Cherokee, but was unable to see the license plate or identify the year of the vehicle. The informant also said the suspect left the scene with two young girls. At the time witnesses reported the suspect to be 5’3” tall, about 180 pounds, with black hair and brown eyes, with a tattoo of the name “Alyssa” on his right leg and a tattoo of a shark on his stomach. The suspect was later identified as 31 year-old Hector Celaya of the reservation. Deputies say Celaya was known to the force, was a drug user, and was believed to be armed and dangerous. The two young girls who left the scene were his two daughters Alyssa Celaya, 8, and Linea Celaya, 5. 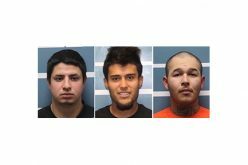 The identities of those murdered and injured are Celaya’s mother, Irene Celaya, 60, his uncle, 61 year-old Francisco Moreno, who were found in the trailer, and his uncle, 53 year-old Bernard Franco, who was found in the shed. The injured young boy has been identified as Celaya’s 6 year-old son Andrew Celaya, who is now in critical condition in a hospital in Visalia. 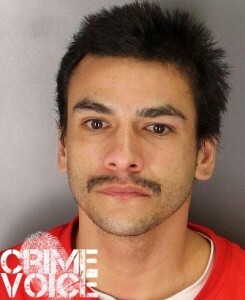 Detectives were later able to use Celaya’s cell phone data in an attempt to locate him. A deputy was later on able to locate Celaya’s green Cherokee in the area of Avenue 220 and Road 254. 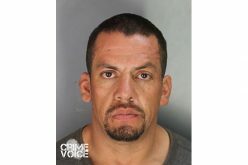 The deputy later attempted a traffic stop to stop Celaya, but he failed to pull over, and led them in a low-speed chase. Celaya finally pulled over just east of Road 216. After pulling over, Celaya opened fire at deputies, who returned fire, resulting in Celaya sustaining injuries. He was taken into custody and taken to a local hospital where he was treated with life threatening injuries. Celaya was pronounced dead a few hours later. Celaya’s two daughters in the car were both injured during the shoot out. They were both taken to the hospital, with Alyssa being treated for life threatening injuries and Linea being treated for non-life threatening injuries. According to the sheriff’s report, the investigation after the shooting proved that Celaya had shot both of his daughters. It was later confirmed that 8 year-old Alyssa Celaya died Sunday night. The officers involved in the shooting have been placed on administrative leave, until the investigation has concluded. Anyone with information is requested to call the Sheriff’s office at 800-808-0488.